We are very excited to announce that we have decided to offer the Forex services to our clients. We would like to thank all participants for your feedback in the survey, which was extremely helpful in making the decision. At this stage, our application is with the South African Reserve Bank for regulatory approval. In addition to the Forex offering, it is very likely that we will be offering foreign currency accounts as well. These matters take time and we will keep you updated on the progress. Did you know that you have to register your solar installations with the City of Cape Town to avoid being disconnected and penalized? This and other useful articles across the board regarding short-term insurance, immigration, taxes etc. can be found further below. Travelling abroad? Beware Customs clampdown! What is passenger liability cover? StatsSA recently revealed that South Africa’s economy contracted 2.2% in the first quarter of 2018. This brings real economic growth for the year to March 2018 to a bare 0.8%. This week more bad news came in, as the second quarter GDP shrank a further 0.7%, pushing South Africa into a technical recession. The growth targets laid down in the February budget speech will now be under even more pressure, showing the mammoth task that President Ramaphosa’s administration has on his hands to revive the economy. The snowball effect of missing these growth targets could be a further ratings downgrade and putting the Rand under pressure. On a more positive note, Daimler Benz Germany has committed to invest Euro 600 Mio. into the East London manufacturing plant. Further, Saudi Arabia is going to invest USD 10 Bio. into predominantly renewable energy in South Africa over the next few years. And just recently China has committed to invest USD 14,7 Bio. into the local economy. It seems that our president’s business background is attracting the large investments our company dearly needs. Please also note that provisional taxpayers have to submit the second return by the end of August 2018. It is interesting to see that the e-filing deadline has been moved forward by a month compared to last year. It seems SARS is looking for a faster tax collection this year. South African Authorities are tightening the screws on a law that the South African Revenue Service (SARS) introduced in the 1980’s but has not been proactively enforced for decades, thus taking both agents and travellers by surprise. The law, which is outlined in the SARS handbook and on its websites, states that travellers need to register their electronic equipment before departing the country if they want to bring it back in, with a DA-65 form stamped and signed by SARS. It applies to all electronics, including mobile phones, laptops, tablets, cameras and even watches. SARS is inconsistent with its laws and it is obvious that SARS is trying to catch some travellers and make some additional money. Over the past weeks, a number of business travellers have taken to social media expressing their anger, as they were charged R 1500 to bring their laptop back home. The penalty for not having the form can be up to R 5000 plus import duties and VAT. In order to avoid any frustration, we recommend that you obtain a DA-65 form from the SARS Airport Customs desk at the airport before departure. In Cape Town, the desk is in the check-in hall, before you go through luggage control. The form needs to be stamped by the SARS desk and is valid for six months but has to be updated every time the traveller acquires a new device. Please click here to download the DA-65 form. Road safety statistics provide a continual reminder of the dangers encountered on South Africa’s roads. Whether an individual or commercial entity operates a taxi service for large or small groups of passengers, cover against accident or injury has become essential. Passenger liability provides insurance against any claims that may arise while a person is in the motor vehicle, whether moving or stationary. This must not be confused with Public liability, which only comes into effect when the client is outside the vehicle. Passenger Liability cover, should the owner of the vehicle become legally liable for the injury or death of passengers. In South Africa, the need for passenger liability insurance in general has often been debated due to the existence of the Road Accident Fund (RAF). The RAF is a state-supported insurance fund that provides cover for injury and loss of income to all road users in South Africa in the event of a road accident. The Road Accident Fund Act also prevents an injured person or his or her dependants from suing the driver or owner of the vehicle responsible for the accident. Without engaging in a legal process, the owner or driver cannot be held liable for the injury, therefore there can be no claim against passenger liability insurance. The Act also states that, should the RAF become insolvent, the injured party’s right to sue will be reinstated. – If the claim is for secondary emotional shock, i.e. when the person who claims was not involved in the accident but either witnessed or heard of the accident. In this instance, the RAF excludes these claims. It is also important to remember that motor insurance policies normally cover other countries too, like Namibia, Botswana, Lesotho, Swaziland, Zimbabwe, Mozambique and Malawi. However, motor liability policies will often exclude the portion of a claim paid by compulsory third-party insurance. The same would apply in many of the neighbouring countries. Most motor insurance policies exclude cover if a vehicle is used to transport fare-paying passengers. If a business or individual then considers using their vehicle as a full-time or part-time taxi to transport people from one place to another – be it a school, a tourist destination or even from one location to another ̶ the driver needs to be correctly licensed according to the regulations of the province in which he drives, with the added necessity to have the proper passenger liability cover in place. What needs to be borne in mind is that the insurance policy will not cover you when you carry more passengers in the vehicle than what it is built or licensed to carry. Please click here to find the H&L communication in regards to the increase of their debit order bounce fees with effect from April 2018. Firstly, Happy Birthday to Santam, who turned 100 years old this year! The insurer will be adjusting its Personal Lines excess structure, which has remained unchanged since mid-2014. Accordingly, all new business (including new items added to existing business) will attract higher excesses as listed below. The changes will be effective from 1 May 2018 for new business and from 1 August 2018 for renewals. Please contact our short-term insurance department for any questions you may have. The introduction of the new Protection of Personal Information Act (PoPIA) has prompted Bryte, the BnB Sure policy provider, to discontinue the BnB Finder website with effect from Friday, 1 June 2018. Please click here to find the communication that was sent out to all clients with an alternative option for them. The discontinuation of the BnB Finder will not affect any policy holder’s loyalty points or their status. Due to the rising costs the premiums will be slightly increased, but the ones for caravans and trailers will be reduced. The new rates will be effective on all existing and new business from 1 July 2018. Please download the overview here. The table below indicates the revised premiums. The insurer is in the process of refining and making important functional and beneficial changes to the App. As a result, all of the App’s functionalities have been switched off, except for the emergency services button. There will be no requirement for clients to register on the App in order to have access to the emergency button. The clients that have already downloaded the App, will get an update notification on the App or Play store dependant on the device they use. Those clients that have not downloaded the App can do so via the App or Play store and download the CCIC App. They will be notified that their App is being upgraded but that the Emergency button is still functioning. The emergency button will ring straight through to the Cross Country call centre. Like many other insurers, a constant review of the policy conditions are important in an ever changing environment. Please click here to download the overview. With immediate effect, you no longer require a claim form to be completed for a geyser claim. Instead, you simply phone us or MUA to report the claim and an experienced claims consultant will guide you through the process to ensure the problem is addressed swiftly. To report a geyser claim, simply phone on 0861 682 467 during office hours. If you need to report a claim after 16:30 on a weekday, weekends or public holiday, you can contact the call centre on 0861 000 682. Depending on availability of a service provider in your area, we will be able to replace a burst geyser immediately – so no need to wait until the following business day before your hot water is restored! The concierge service has also undergone some changes. If the trip exceeds 50kms, the client will be liable to pay R10 per kilometre thereafter to the driver, per trip. Click here to download the new concierge brochure. Please feel free to contact us should you have any questions in this regard. When Santam purchased Guardian National in 1999 and subsequently acquired the balance of equity interest in Associated Marine from Mutual & Federal, a decision was taken to maintain the Associated Marine brand name given the brand equity in the marine industry. This was maintained after Associated Marine became a division of Santam Ltd in 2005. As from 2 July 2018, Associated Marine as a brand will cease to exist and will now be called Santam Marine. The name change will not affect the day-to-day running of the division, and it will be business as usual. There have been new inventions for burglar bars over the years. One of them is the “clear bars”, which are made from polycarbonate sheets and offer the same protection as steel burglar bars. Please download the communication from Renasa here. Immigrants, returning residents and temporary residents are allowed to import household and personal effects into South Africa. You are allowed one-duty free import. To do a second import, you’ll have to obtain permission from SA Customs. Form P1.160 – Declaration in respect of unaccompanied manifested household effects. Form DA 305 – Item 407.06 of Schedule No.4 to the Customs and Excise Act. SAD 500 – Customs Declaration Form. Plus the resident permit (where applicable) and passport. The passport must have the date stamp of entry into South Africa. 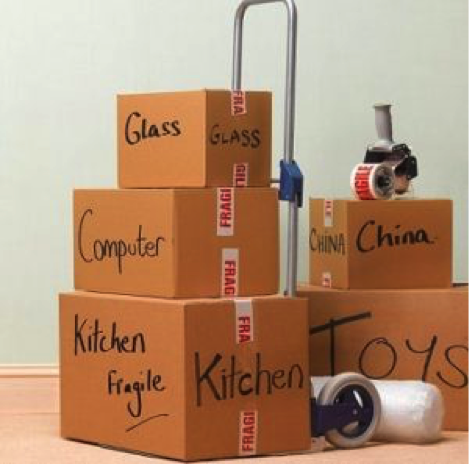 Returning residents must have been out of South Africa for an unbroken absence of at least 6 months to automatically qualify for duty-free importation of household goods bought while out of South Africa. Temporary residents will only be allowed duty-free importation if in possession of a valid temporary work permit. – Import permit which you must obtain prior to shipping the vehicle to South Africa. – Letter of Authority. You request this letter from the South African Bureau of Standards. – Permanent residence permit issued by the Department of Home Affairs. – Proof of emigration from South Africa, proof of permanent residence obtained abroad as well as evidence that such permanent residence has been withdrawn, in the case of returning South Africans. – Completed DA 304 A form. – Documentary evidence of the date on which delivery of the vehicle was taken. – Documentary evidence of the date on which the vehicle was handed over for shipment to South Africa. – An import permit, for used vehicles. – An original Letter of Authority. – provided the vehicle is not offered, advertised, lent, hired, leased, pledged, given away, exchanged, sold or otherwise disposed of within a period of 20 months from the date of entry. Should you have owned and used the vehicle for less than 12 months prior to your departure to South Africa, the duty rebate will be reduced pro-rata. - Firearms. Please note that firearms are subject to inspection by customs, so you should pack all firearms separately and ensure that these items are easily accessible. – Liquor. Liquor is subject to duty which means you must draw up a complete list of the liquor you’re importing, noting the alcohol percentage, label names and values. – Plants, seeds and bulbs. – The following articles are prohibited from importation: Ammunition and explosives, pornographic material, agricultural products, honey, meat / meat products, narcotic drugs, medicines, certain feathers, furs, skins and tusks of protected species. While our information was gathered from credible sources, it is advisable to always get the latest information from relevant South African authority before undertaking the importing of personal goods to South Africa. We suggest contacting a reputable forwarding company or the South African Revenue Service for further assistance. Cigna Health Insurance is an American worldwide health services organization and specialises in insuring expatriates, and people that travel frequently or have several residences around the globe. We had a test run for the last 6 months and are very happy with their premium rates, processes and claims handling. On 25 June 2018, the Minister of Health, Aaron Motsoaledi, announced the introduction of two Bills: the National Health Insurance (NHI) Bill and the Medical Schemes Amendment Bill. The Bills, according to Motsoaledi, will pave the way for more access to medical healthcare through NHI. The minister said the amendments being introduced are meant to provide much relief to patients finding themselves in financial distress due to the cost of health care. – End of co-payments: The first major amendment includes the abolishment of co-payments which means that medical schemes will be required to pay for the full amount charged to a patient. – Abolishment of Prescribed Minimum Benefits (PMBs): They are set to be replaced with comprehensive service benefits. The Minister said that comprehensive service benefits would include services such as family planning, vaccinations and screening services which are not necessarily paid for by schemes under the current system. – Governance of medical schemes: This amendment will mean that there are now minimum education requirements before someone is allowed to join a board of or become a CEO of a medical scheme. – Abolishment of brokers: Motsoaledi said that the Medical Aid Scheme Amendment Bill will abolish the role of brokers, as almost two-thirds of medical schemes clients pay commission to brokers without their knowledge. Stats SA says that over a 15-year period since 2002, fewer than 17% of South Africa’s population have joined medical schemes. The Minister acknowledged the parlous state of public healthcare, yet he failed to make a single mention of what he intends to do about it. Money is not going to fix the problem – management is. Moreover, the Minister laments the fact that the poor are subsidizing the rich, but he fails to mention that the rich pay tax and that tax is funding public hospitals that are treating the poor at no cost. The draft Medical Schemes Amendment Bill contains numerous complex amendments and the devil is in the detail. The Bill is lacking in detail in the critical areas and only time will tell what will happen. The mother city has been placed favourably in the annual Knight Frank Global Wealth report. The international residential index showed that Cape Town is placed second in the world behind Guanzhou (China), with an annual average price increase of 19.9%. The town has become a centrepiece for ultra-high-net-worth individuals that are global citizens with properties all over the world. The high demand for property in Cape Town has created a gap of 40% to 60% compared to similar properties in other parts of South Africa. Despite the overall dip over the last 12 months in the property market due to poor political and economic climate, Cape Town remains a sought-after destination. Not only are global buyers on the increase, but also people from up-country would like to move to Cape Town. The City sent out a circular in June this year, informing about the registration of all Small-Scale Embedded Generation (SSEG) units, like PV solar systems. New and existing installations require the approval by the City. Existing systems have a grace period until the 28th February 2019. Should the deadline not be met, the City will disconnect your system and charge a fee of over R 6400. Please click here to download the circular and to find out how you can register your system. We would like to welcome Miss Savanha Conrad to our team. She replaces Miss Alaysha Schultz, who has found a new challenge in Australia. We would like to welcome Mrs Deborah Burt back at the office from maternity leave. The family Burt enjoyed the birth of their wonderful daughter Sophia. Congratulations from our side! We are currently looking for more consultants in our growing short-term insurance department. Previous experience in the insurance field is not necessary, but the applicant must be fluent in the German language.